- Prepared base for PVP Tournament, more information on that during next week. - Event: Screenshot of the week will start on Monday. Details will be posted at the forum. - Replace Wings Icons with new ones. - Added Premium Remover to Item Mall. - Enabled Alchemic tablets drops from all mobs. - Enabled Alchemic material drops. - Added Void Rondo to Grocery shops. - Fixed players could not destroy SOX items. - Battle Arena will now reward 10 Arena coins to each member of the winner team. - Increased Forgotten World talisman drop rate. - Changed intro and character selection screen. - Reduced 25% the damage of cleric absolute damage skills. - Reduced alchemy rate 25%. Current rate is 1.5x. - All Advanced elixirs are now tradeable and stallable. - Reduced chinese buff to 5% all stats. - Removed the 30% Reduce stats of Fire shield. - Fixed the 20% SP scroll given from Jewelbox. - Snow shield will require 160 Int stat point to use (This will be enabled next week). - All Uniques will drop 2 silk. - All Uniques will drop 5 Arena coins. - Fixed the plus glow of +10 weapons. - Set level required to use Global to Level 15. - Fixed Skill reset Scroll item. Should work as intended: reset all skills, and give back the used SP. Added back to Item Mall. - Set Union chat limit to 25. (all guild members can union chat). - Added All alchemic stones to Arena Item Manager. Priced at 5 Arenas/500k Gold for 1 unit. - Added recovery grains HP/MP drops. - Added Normal Elixirs to Arena Item Manager. Priced at 1 Arena/500k Gold for 1 unit. - Disabled Invisible Skill inside FGW. - Disable Invisible skill if you pickup the flag in Capture the Flag or Battle Arena Events. Also, you can't pickup the flag if you are invisible. - Enabled timeout feature inside Capture the Flag and Battle Arena, you will be sent back to town if you don't move for 2 minutes. - Disabled the use of Monster Scrolls and Pandora Boxes in Capture the Flag and Battle Arena. - Disabled the use of pets in Capture the Flag and Battle Arena. - Enabled the Alchemy plus success notice to all degree items. - Implemented a patch for bots (1/3), no bots should be able to login now. More on that later. These are just some improvements we made while we working on the bot protection, we appreciate your patience while we work on the user feedback updates which will be coming in the next few days. We have been very busy these days improving the antibot system, that's why you haven't seen many visible updates recently. Now we have the free time to implement new updates for our players. What's next on for Origin Online? (Coming Soon). - Brand New Server hardware and location (Germany) with better hardware and 4 times the connection speed of the current server. This should completely eliminate any lag that some players may have experienced. - New Skill balancing update according to user feedback. - New ways of obtaining SOX items. - New ways of obtaining elixirs and alchemic stones. - Upgrade to Capture the Flag and Battle Arena Events. - New Daily quests with awesome rewards. 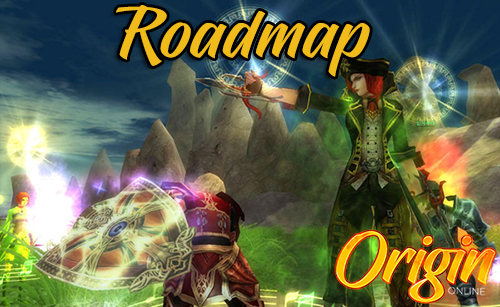 - Improvements to the current quests system. We would like to thank all our players your continuous support so far and for helping us make the best server for legit players around the globe. Thank you!